4th Annual BRODY BASH fundraiser! Another successful event! 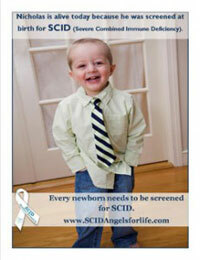 This year’s 4th annual Brody Bash net SCID Angels for Life $4,000!!! Thank you Ed and Sara Rodriguez for sharing your son’s story with SCID and for chosing our foundation to benefit from half of the proceeds. You’re ability to give back is greatly appreciated. The 3rd Annual Brody Bash was a blast. SCID, Angels for Life Foundation Board of Director’s member Barb Ballard attended the event in Manassas, VA. What a wonderful way to pay tribute to a life that was cut way to short. SCID, Angels For Life Foundation is honored to be one of the recipients of this years event.